The path to success in a highly competitive and fast-growing global market is filled with obstacles. The challenge for leaders is to identify, create, and sustain a competitive advantage in a global environment. Strategic Thinking and Leadership — India provides you with grounding in business frameworks to enable you to drive change, moving strategy from concept to reality. 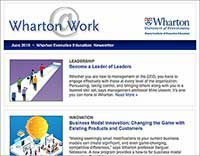 This program reflects Wharton’s deep commitment to global strategy research, which focuses on gaining competitive advantage through selection and execution of various growth opportunities. 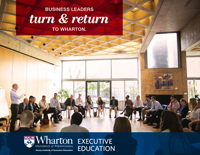 Strategic Thinking and Leadership — India may be attended on its own or as part of Wharton’s Accelerated Development Program (ADP). This certificate program consists of three separate educational experiences and professional assessments, going beyond the classroom to help participants become more proactive in managing their careers. Agility and being able to anticipate competitor moves is a business imperative in any global business, but especially in a growing economy such as India. The most dynamic leaders are those who execute strategy while bringing forth the full leadership capacity of their top team and beyond. These leaders also know how to simultaneously drive change while remaining vigilant about countermeasures by the competition. Strategic Thinking and Leadership — India focuses on these competitive and leadership truths while providing a strategic framework for developing and sustaining competitive advantage in an increasingly global business environment. You’ll not only gain the skills you need to lead and execute a strategic plan, but also benefit from the latest industry insights into why organizations succeed and fail in global markets. You can then put this new knowledge to the test in a leadership simulation. Professor Harbir Singh, an expert in corporate strategy, applies his field-based research and the latest business insights to help you lead from a basis of market knowledge and, as a result, deliver greater shareholder value. Through this highly engaging, real world–focused program, you’ll be able to gain new insights on business strategies to drive growth initiatives for the greatest competitive advantage, even as you become more proactive in anticipating and responding to competitor moves. Key components of the program are the case discussions, where you’ll have the opportunity to apply techniques and tools learned in the classroom. You and your peers will also examine how to identify and pursue growth opportunities that put you ahead of your competitors. Strategic Thinking and Leadership — India is designed for high-potential business executives with at least 10 years of work experience and a proven record of advancement. Executives who are moving into strategic planning or more general management roles may also benefit. Participants in this program are a diverse group of marketing leaders from varied industries and backgrounds in India who share their biggest challenges with the class. 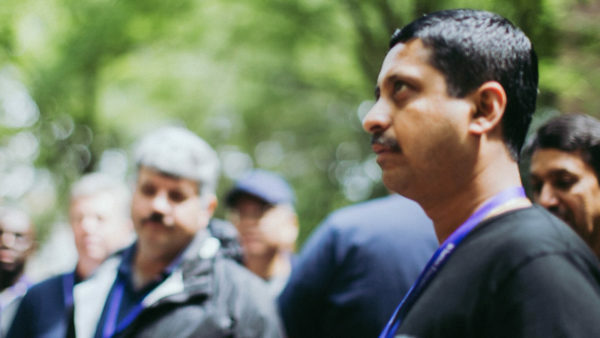 Faculty tailor the program content to address these issues, so participants enjoy a learning experience that truly resonates with them and meets their learning needs. Tuition for this program includes accommodations, lunches, breaks, and program materials. Prices are subject to change.